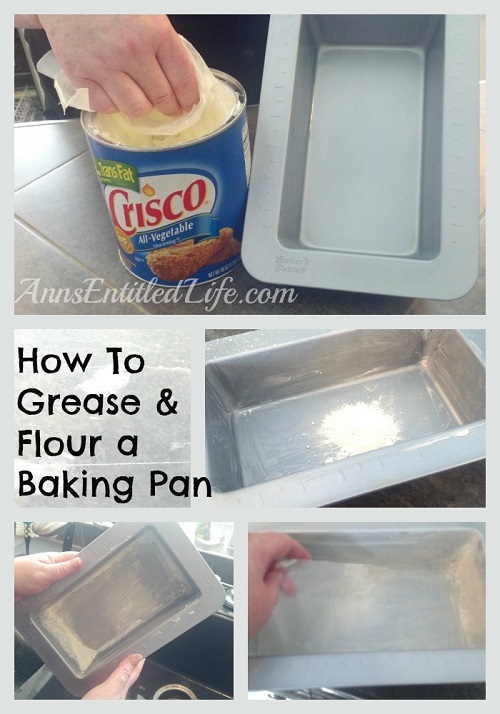 So many people think that spraying a pan with a non-stick spray is an adequate substitution for greasing and flouring a pan. It isn’t. 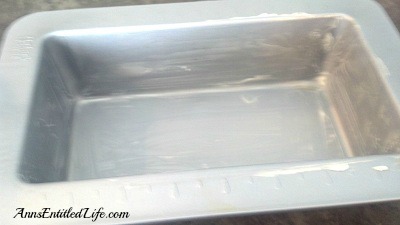 A well greased, floured and lined pan will allow any baked good to pop right out without sticking. Non-sticks are fine for cooking meats, but for baking, you really want to do it the old fashioned way. Some people use butter or lard. My choice is Crisco, which is vegetable shortening (ingredients: soybean oil, fully hydrogenated cottonseed oil, partially hydrogenated cottonseed and soybean oils, mono and digycelerides, TBHQ and citrus acids (antioxidants)). 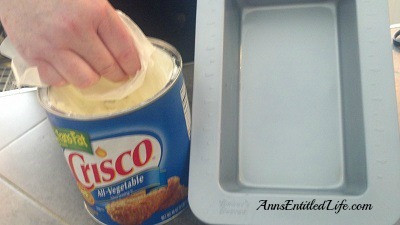 Cut a piece of wax paper, dip it into the Crisco can. 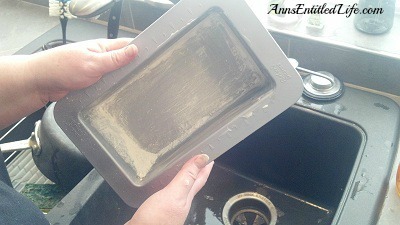 Thoroughly coat the sides of your pan, paying particular attention to the corners. You should have a light coast of vegetable oil, so light that you can easily see the pan underneath. Drop in a dab of flour. Shake the flour about the pan. 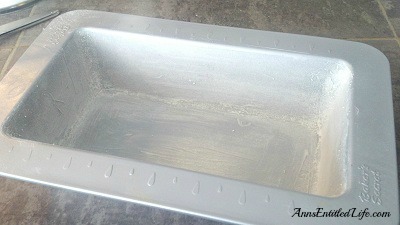 Since flour particles or clouds may come out of the pan, it is best to do this over the sink. Your pan should be completely coated with a thin flour wall. You don’t want bare pan anywhere. 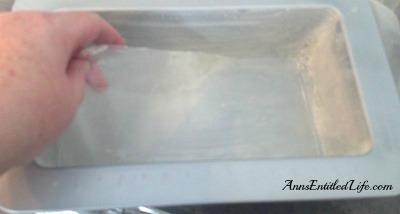 If you need to line the pan, cut a piece of wax paper larger than your pan. 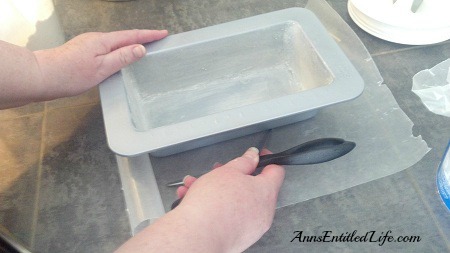 Place your pan on top of the wax paper, and score the outline of the pan with scissors. Cut out the wax paper along the score marks. Insert the cut out wax paper into the bottom of your pan. You are now ready for batter! That’s the same way I’ve always done it also, Ann. 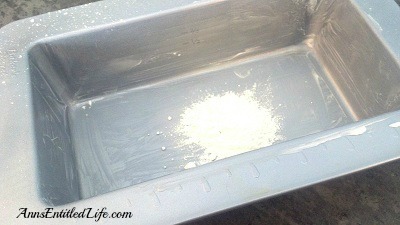 BTW, if it’s a sweet dessert you are baking, sometimes I’ll grease and “sugar” the pan instead of using flour.